Tuffa tag i England. TV-reklam för kosmetika granskas av ASA innan den sänds, men ändå kan fällas. | Eviderm. Konsultföretag produkter för huden. Kosmetika, medicinteknik. 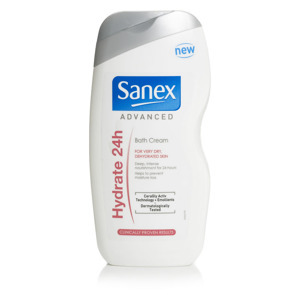 "A TV ad for Sanex Advanced Hydrate 24 Hour shower gel seen in July 2015 featured a voiceover which stated “This is dry skin. It's a common problem. Introducing our clinically proven way to hydrate it. A shower gel. New sanex advanced hydrate 24 hours, proven to moisturise your skin for 24 hours. Recommended by 97% of women who tried it. Sanex. Keeps skin healthy. Onscreen text at the bottom of the screen stated “Results shown after one week of use. 97% of 32 daily body lotion users”." "The ad must not appear again in its current form. We told Colgate-Palmolive not to repeat claims that the moisturising effect of the product lasted for 24 hours and that when targeting consumers with specific skin types they should ensure that they held relevant evidence to support those claims. We also told them to ensure that qualifications were presented sufficiently clearly."